Achieve trustworthy results such as composition, content, residue and stability with a Thermogravimetric Analyzer from the balance technology leader. Experience the ultimate in ease-of-use thanks to experiment launch with One Click™, built-in mass flow controllers and automatic buoyancy compensation. A cleverly designed, factory endurance tested autosampler with single axis movement and flexible crucible handling provides efficient and reliable routine operation around the clock. Achieve fast and accurate TGA results through seamless workflows. 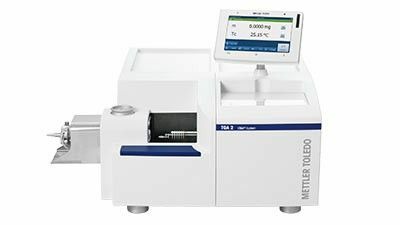 Our TGA instruments deliver trustworthy results using the world’s best METTLER TOLEDO micro and ultra-micro balances with sub-microgram resolution over the whole measurement range. Routine measurements are started quickly, safely and easily with the unique One Click™ function from the instruments' color touchscreen display. Sample identification can be done with a bar code reader. 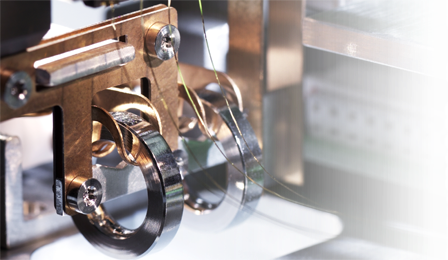 Efficient and reliable operation around the clock is ensured by the robust, factory endurance tested sample robot. The experimental time needed to produce accurate results is reduced by automatic buoyancy compensation. No need to run a blank measurement anymore. Optimal atmosphere around the sample is provided by the built-in mass flow controller gas supply units which are software controlled and do not need any user interaction when starting an experiment. All TGA models can be automated. The sample robot can process up to 34 samples even if every sample requires a different method and a different crucible.